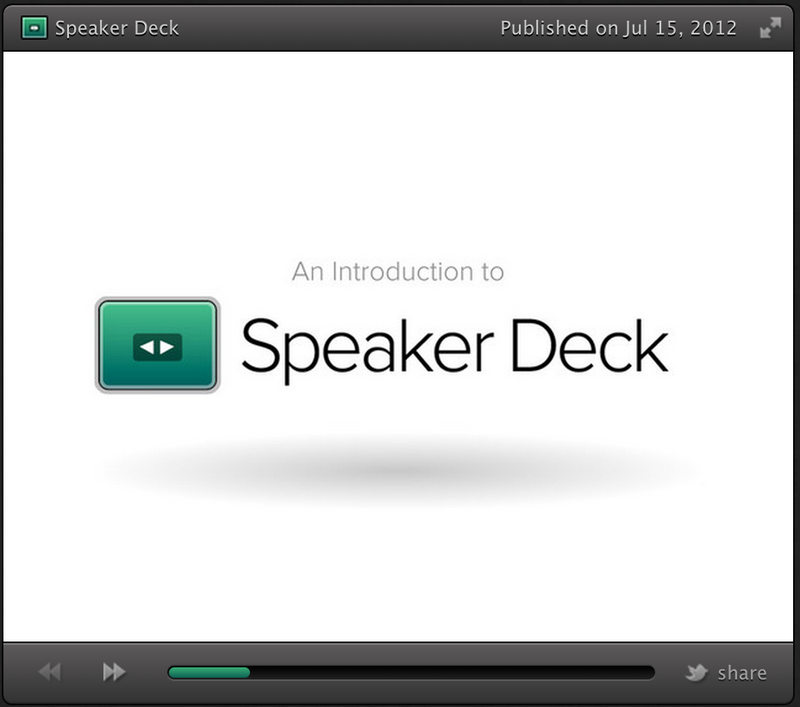 Speaker Deck is an excellent web tool that allows you to easily share your presentations online. You simply upload your slides as PDF and Speaker Deck turns them into a beautiful online experience. You can then share your generated presentation with others using different options including a unique URL link, social media websites such a Facebook and Twitter, or use the embed code to embed presentations in your website. ‘1- Sign into your Speaker Deck account and click Upload at the top of the page. You will be presented with a form to upload a PDF. 2- Click the Select a PDF to Upload button and a file browser will open. Select the PDF you want to upload and then click Ok. Check out this example to see the kind of presentations Speaker Deck can help you create.